One of the newer signees to Dream Records, singer/songwriter Joel Vaughn is an artist that you all need to stop and take notice of, if you haven’t already. Having released 4 EP’s so far in his short but impactful and influential career thus far (self-titled independent album, Kinetic his debut label EP, Surrender in 2017, and Control Vol. 1 last year); Joel follows up the highly successful project with another EP, titled Control Vol. 2, which released at the end of March this year. While this release may slip under the radar initially (releasing on the same days as albums from We are Messengers, Jon Egan, Amanda Cook and Natasha Owens! ); there’s no mistaking and denying Joel’s fervent passion for Jesus oozing throughout these vibrant and honest 5 melodies- these emotional and heartfelt pop/EDM and reflective ballad melodies are indeed some of my favourites of this year thus far, with Joel blending CCM and worship styles, creating an honest, raw and emotional moment of praise and adoration to our God and King. With the release once again centred around the theme of surrendering control over to Jesus, and admitting that we need to rely on God for everything we need; let’s dive in and see how these 5 songs have spoken to and ministered to me. The radio friendly guitar led pop number “Unreserved” opens proceedings, as Joel passionately reiterates that he longs to give Jesus his entire everything- even if those around him ridicule him and think he’s mad. Because in Joel’s eyes, and I’m sure in our eyes as well; our Jesus is everything, and because of what He’s done on the cross, we can indeed be unreserved in our surrendering to Jesus- giving Him our entire being takes guts and courage, but courage we can step into because of our Lord by our side. The 80’s inspired dance melody “Something New” implements musical elements of Newsboys’ Love Liberty Disco yet feels a bit flat and uninspired, however lead single “More Than Good Enough” strikes all the right chords, and has me singing along with passion and gusto the ever true lyrics that our identity in Jesus is as a son and as a daughter of the Lord Most High. It’s an unassuming truth that we’re royalty, and definitely more than good enough, and as Joel ardently relays that ‘…You say we’re more than conquerors; I’m saved, It’s written in your word…’, I’m encouraged that no matter what happens in this life, we can hold our head high and be positive because of Jesus. Penultimate melody “I Look To You” (yep, the EP is ending already!) is a personal highlight, as the laid-back folk/pop type song ala Rend Collective, relays the undeniable fact that whenever we’re in dire straits, we can look up to our Father for advice, guidance and counsel; while the EP ender is “I Give It All Back” is a piano led ballad, where Joel expresses his utter devotion to Jesus, and the notion that he wants to give his life back to God as a token of gratitude and thanks- a kind of wholeheartedly need and want to serve our Father in order for the kingdom of heaven to occur here on earth as it is in heaven. 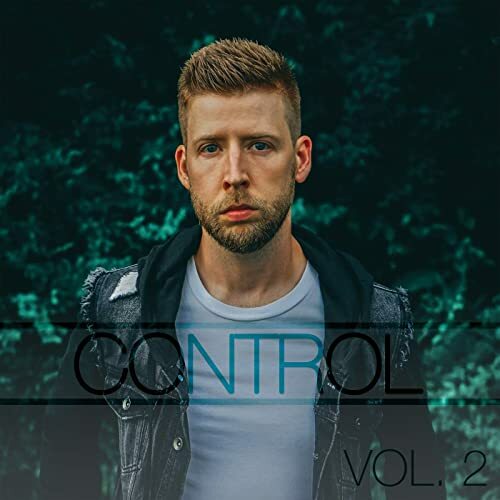 With Joel Vaughn’s 4 EP’s in the last 4 years, I was more than surprised in a good way with this release, as each song here is a highlight personally, and Joel’s heart for worship quite admirable. In this release though, in Control Vol. 2, the production is definitely bigger, bolder, grandiose, more epic and more impactful than ever, with Joel’s passion for Jesus greater than ever. With songs for personal and corporate worship infused together, as well as inspiring pop melodies as well in this short but sweet playlist; what more do I have to say to convince you that this EP is something you all need to listen to? Well done Joel, I can’t wait for your next release- and let’s hope it’s a full length album!